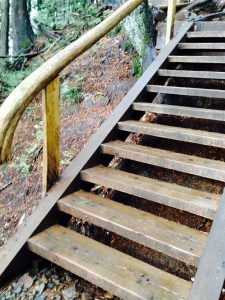 Doing the Grouse Grind this year I found myself climbing some new rustic stairs, complete with a curved wood hand railing and floating stair treads. It reminded me of a project we completed in West Vancouver earlier this year. 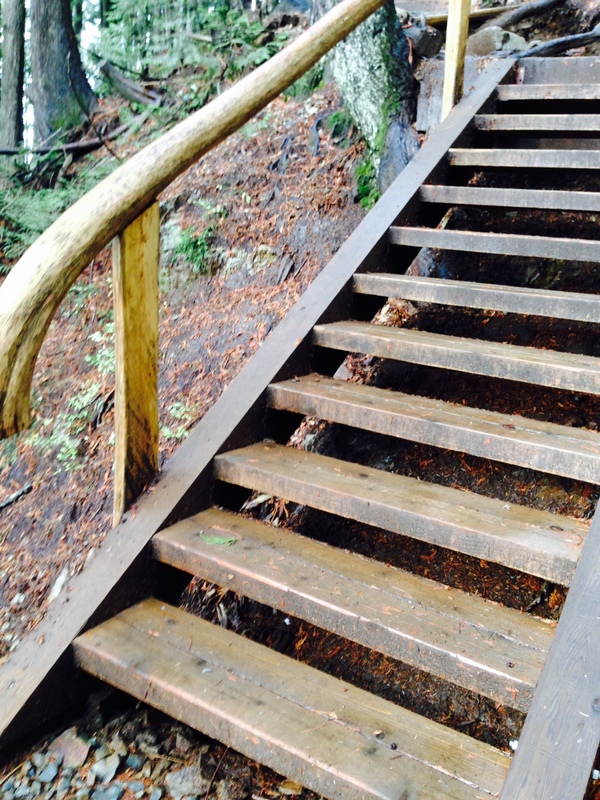 We had built very similar stairs in our clients backyard and stained them a warm dark brown. I love the ‘beefy-ness’ of these stairs!